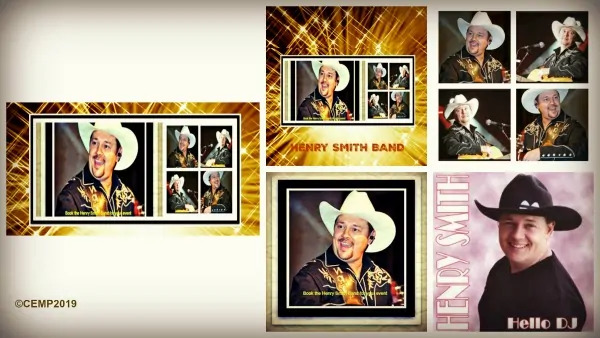 Henry Smith is one of the most influential country music stars in the United Kingdom today. His rising career with the Henry Smith Band is expanding across Europe. Originally from Reading, Henry has spent most of his life around Portsmouth. His love of country music started at a young age with stage performances from 5 years old. He is a very popular and energetic showman who is well received at festivals and clubs. Henry loves music and is renowned for his dedication and lively stage performances. Described by many music critics as the UK’s number one Country Artist he has regularly appeared on television performing live in the studio. Seven out of eleven Henry Smith cds so far have hit the radio charts. These include Mum And Dad, Hello DJ, Welcome To My World, There Goes, I Hope She Falls and Enough Tequila. These tracks have been hits in the UK, Holland, Denmark, Germany and Australia. More Henry Smith Albums For Your Collection. Influences include: Alan Jackson, Randy Travis, George Jones and Garth Brooks. A well toured country artist, he has had numerous appearances and shared the stage with artists such as: Mark Chesnutt, Billy Yates, Billy Jo Spears, Heather Miles, Joni Harms, Eve Sellis, Jon Randell and Danni Lee. Achievements so far include an award at the BCMA Band of The Year in 2009 and again in 2010. Henry himself achieved Entertainer of The Year in 2010, 2011 and 2012. Henry Smith Band tracks ‘Mum and Dad’, ‘Hello DJ’ and ‘Welcome To My World’ each reached number one in the British Hotdisc chart. ‘Enough Tequila’ and ‘I Hope She Falls’ reached number two. ‘Fooling Myself’ is a duet with Nashville’s own Billy Yates. This reached number three in the International Independent Chart.